Sean Maguire had taken nearly a year-long absence to deal with a nasty concussion problem, missing the entire 2014-15 campaign, but he recently returned between the pipes for Boston University. Maguire has started every game in the 2015-16 year in which he's played. 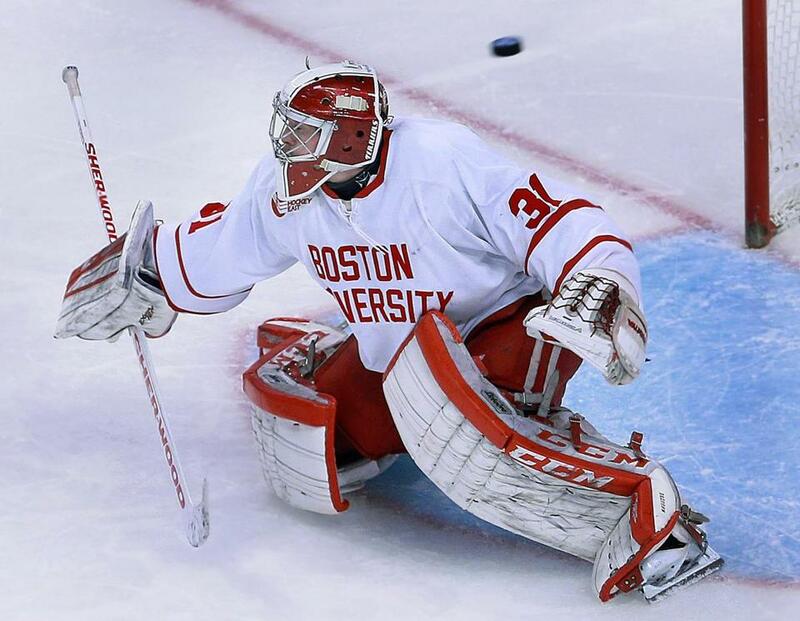 Currently sporting a 13-8-1 record, Maguire has a .924 save percentage and a 2.27 goals against average. He was named the Hockey East Defensive Player of the Week on December 14th. 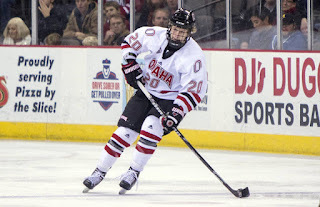 C Jake Guentzel - University of Nebraska-Omaha: Unfortunately, Jake Guentzel's season recently ended, but boy oh boy what a season it was. Through 35 games played, Guentzel hit the back of the net 19 times and accumulated 46 points. 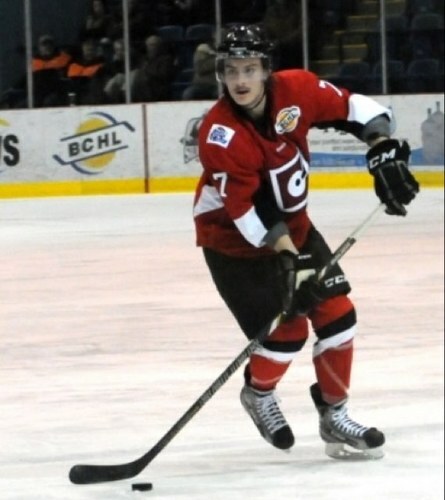 He led his team in assists (27), points (46), and was only 2 goals shy of also leading his team in that area. Due to his season recently ending, the Pittsburgh Penguins may be looking to get the ink to paper for the 5'11 forward, perhaps letting him taste the AHL next year. 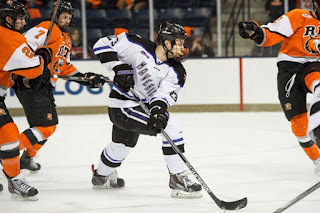 C Teddy Blueger - Minnesota State: Teddy Blueger is currently an alternate captain for the Minnesota State Mavericks, and is in his senior year. Through 41 games, Blueger has 11 goals and 24 assists for 35 points. Blueger leads Minnesota State in assists (24) and points (35), and is 5 goals short of the goal scoring lead. Blueger may also be seeking a contract this summer. 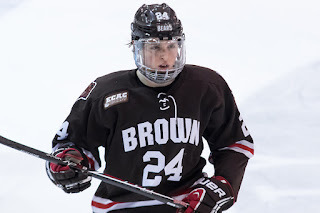 C Sam Lafferty - Brown University: Sam Lafferty didn't have the best season, but neither did the Brown Bears. Through 31 games, Lafferty scored 4 goals and notched 6 assists for 10 points, had 4 penalty minutes and was a -7 on the year. One of his goals as a power play goal. 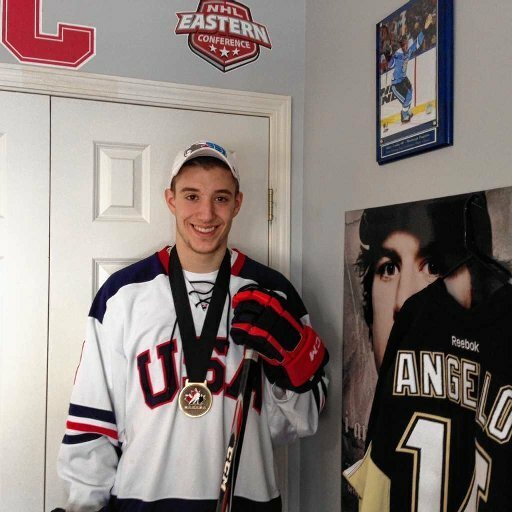 C Anthony Angello - Cornell University: Through 34 games played, Anthony Angello has 11 goals and 13 assists for 24 points. 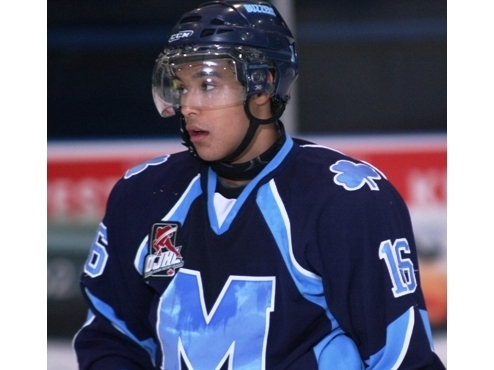 Angello has 70 registered shots, giving him a .157 shooting percentage. He is currently +9. 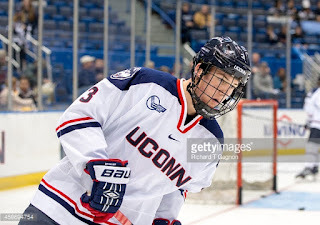 D Ryan Segalla - University of Connecticut: Through 21 games played for the UConn Huskies, Ryan Segalla has 0 goals and 2 assists for 2 points. The defenseman is a -15 on the season and has 19 registered shots on goal. He's been in the penalty box for a registered 12 minutes. 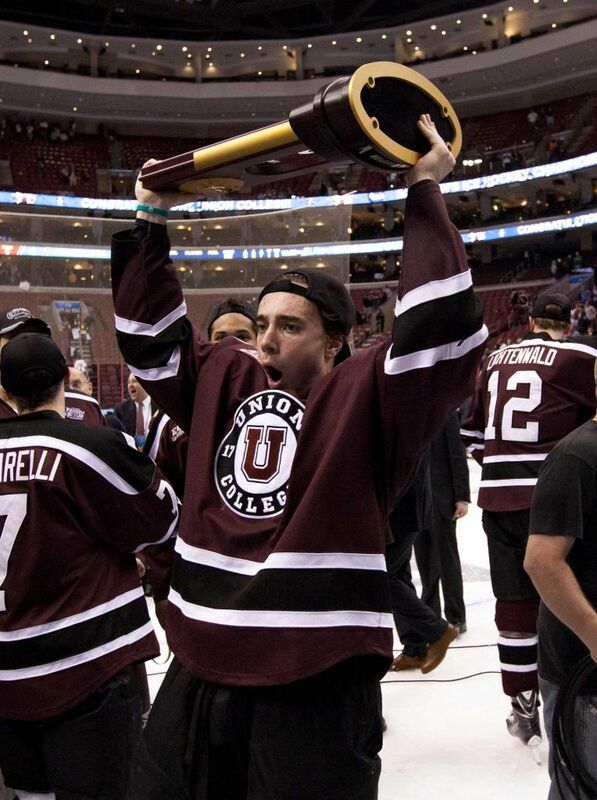 D Jeff Taylor - Union College: Through 36 games played, Jeff Taylor has 2 goals and 10 assists for 12 points. He has 11 registered penalty minutes, including one major. Nothing much else to say here. D Dane Birks - Michigan Tech: Through 31 games played, Dane Birks has 0 goals and 3 assists for 3 points, for the Michigan Tech Huskies. This is slightly below average for a freshman defenseman. Birks didn't play last season (was benched year-long) due to having insufficient grades in school. 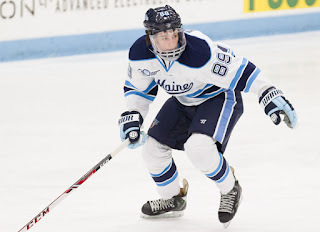 RW Blaine Byron - University of Maine: Through 38 games, Blaine Byron has 8 goals and 16 assists for 24 points on the season. 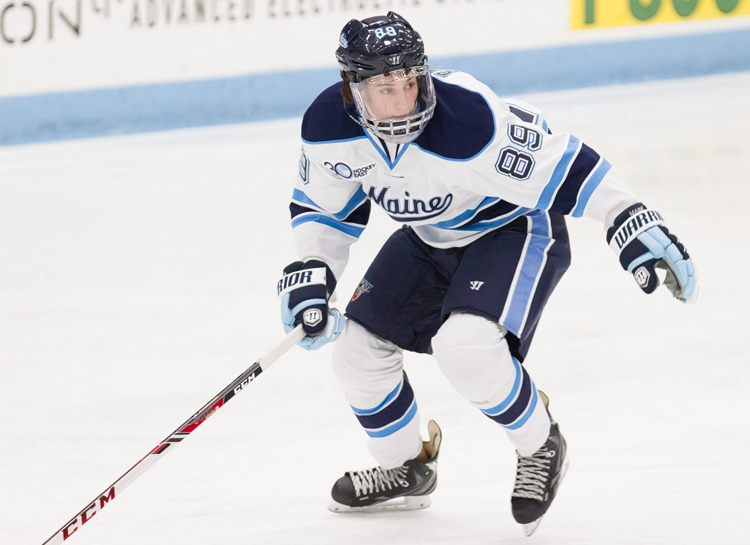 Byron leads the Black Bears in assists (16) and points (24), and is 5 goals short of the goal scoring lead. He is also 2nd in the team in registered shots on goal with 112. LW Troy Josephs - Clarkson University: Troy Josephs has played 28 games for the Clarkson Golden Knights in his junior year, and through this 28 games he has 5 goals and 6 assists for 11 points. Josephs has 58 registered shots on goal, giving him a shooting percentage of .086. 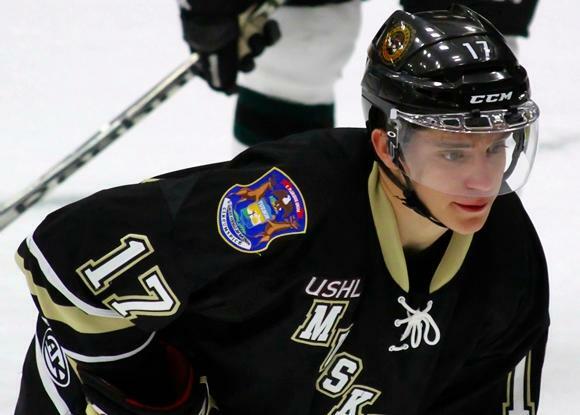 LW Frederik Tiffels - Western Michigan University: Through 36 games played for the WMU Broncos, the German native Frederik Tiffels has 7 goals and 10 assists for 17 points on the season. 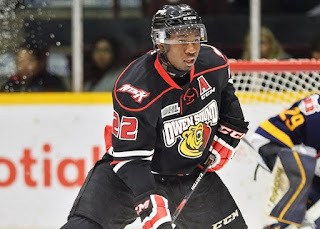 Tiffels was drafted in the most recent NHL Entry Draft at 167th overall. RW Jaden Lindo - Owen Sound Attack: A native of Brompton, Ontario, Jaden Lindo has played 67 games for the 2015-16 campaign. During this stretch, Lindo has scored 14 times and helped on 16 others, giving him 30 points on the season. Starting off the season with the NHL's Pittsburgh Penguins, Daniel Sprong played 18 games. Through these 18 games, Sprong scored his first NHL goal against the Ottawa Senators' Craig Anderson, and added another one in a game against the Edmonton Oilers. 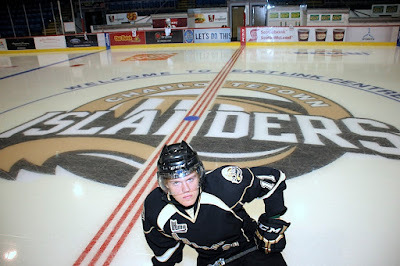 After those 18 games, Sprong was returned to the QMJHL, where the Charlottetown Islanders own his rights. Sprong started off his 2015-16 QMJHL season with an 11 game point streak, notching 17 points in that span. Through the entirety of his 33 game season, he's scored 16 goals and has 30 assists for an outstanding 46 points. The Charlottetown Islanders are currently in the playoffs - once their season ends, Sprong is likely headed to the AHL's Wilkes-Barre/Scranton Penguins for the remainder of the hockey year.